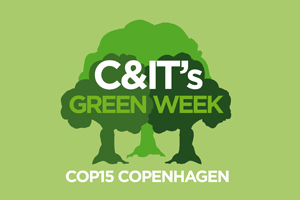 C&IT GREEN WEEK: Hotel-booking agency Conference Care has achieved carbon neutral status. Conference Care worked with consultancy Carbon Clear to analyse carbon production across all areas of its business, including electricity usage, recycling and company car mileage. The sum of money the agency was required to pay to offset its carbon production is being donated to a project that provides low-smoke stoves in the Darfur region of Sudan, Africa. Conference Care director Chris Peacock said: "We've been working towards reducing our environmental impact for several years, so when we looked at our carbon footprint we had already significantly reduced the required offset. "I'd encourage other companies to go through this process, as it really makes you consider all aspects of your business and, on an ongoing basis, will probably save you money aswell." Conference Care also introduced a venue sustainability rating system 18 months ago, which enables clients to compare the environmental qualities of various venues. More than 1,100 venues in the UK and Ireland have signed up to be rated. "Clients are asking more and more about the sustainability rating of venues," said Peacock. "There's no universal benchmarking system so it can be very difficult to tell which venues are operating in an environmentally-friendly way. That's one reason our system has grown so quickly."